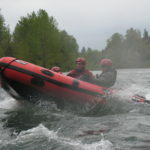 As we navigated our way up the winding lush and rocky banked river, we found the optimum location to put newly taught skills to the test. 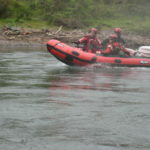 With ten knots of current, the boulder lined channel provided a challenging swift water chute to practice personnel recovery tactics. 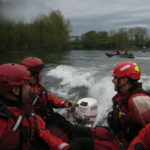 Utilizing Zodiac MILPRO Emergency Response Boats (ERB), we had the perfect platform, which provided plenty of reserve buoyancy and maneuverability to execute our simulated victim in water pick up techniques. 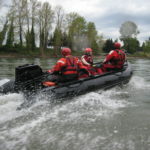 Here at Inflatable Boat Center, we are privileged to be an authorized Elite Zodiac MILPRO dealer and service shop. 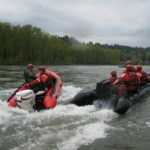 To be authorized doesn’t just mean sign up and sell a boat; instead it requires a serious level of commitment, interest and experience with the products. 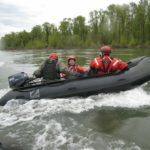 All of our IBC staff members own and use Zodiac inflatable boats year round and have done so for many years, both recreationally, in the military, and professionally. 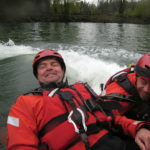 In addition, we strive to learn everything we can about our prospective customers and retain contact with existing customers in order to supply them with the perfect product for their requirements. 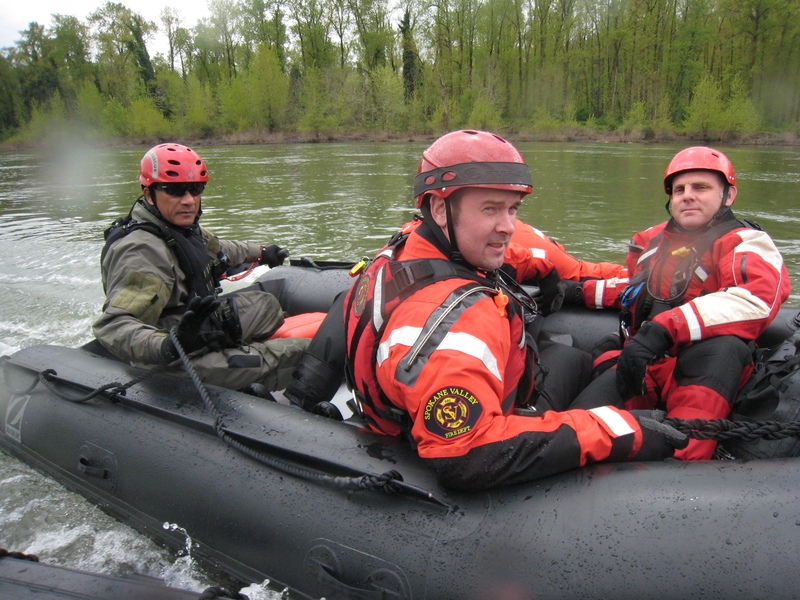 The new Zodiac MILPRO craft of choice for first responders is the Zodiac ERB. 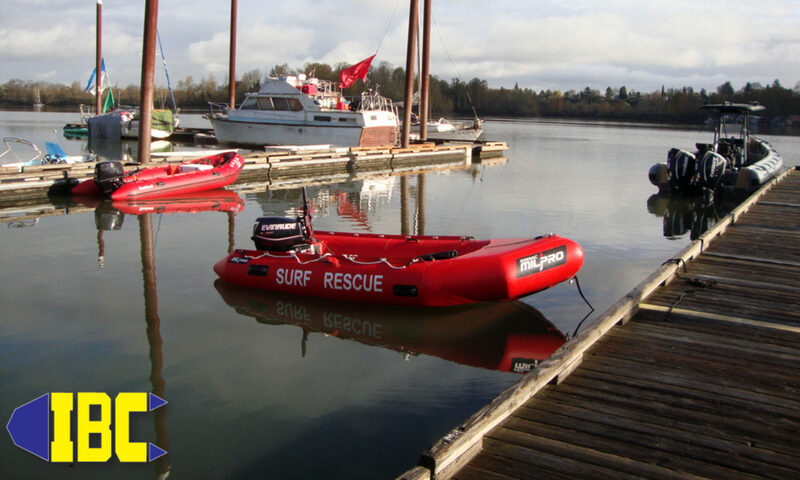 These models offer a choice of floor systems, both aluminum or inflatable, fast inflation systems, Zodiac special inter-communicating valves, over pressure relief valves, quality life lines, and the perfect hull design for shallow and swift water operation. 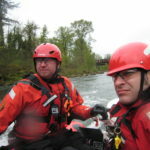 For the Spokane Valley Fire Department, the ERB 380 (12’6”) proved to be the perfect combination of performance, capacity, and portability. 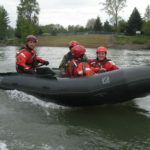 Spokane Valley Fire Dept. 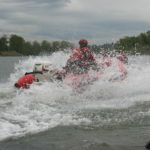 chose to carry the boat to the water vs launching from the trailer to match conditions found in the field. 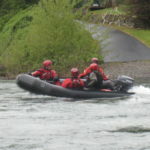 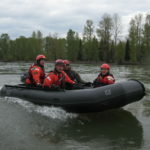 Powered by a 30hp Rescue Pro PumpJet outboard, the boat had enough power to get 6 people up on plane, and moreover, propelled 3 operators easily through all the swift water conditions we encountered. 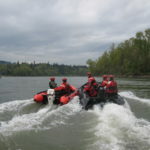 In addition to supplying the fire department with a new boat and engine package, IBC offered to host a genuine Zodiac Maritime Academy training class as this was their first Zodiac; the perfect boat doesn’t help without the proper skills to operate and maintain it. 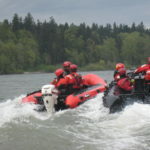 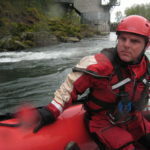 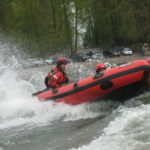 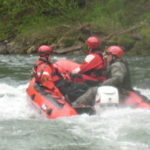 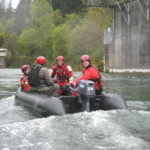 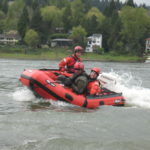 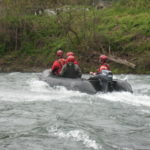 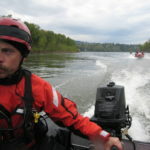 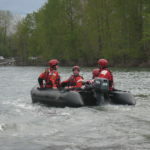 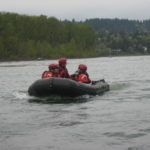 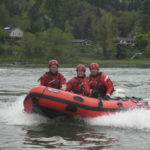 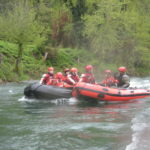 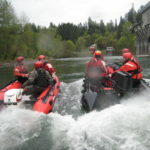 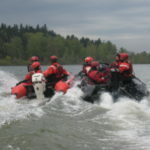 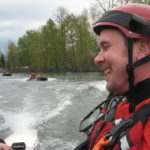 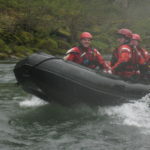 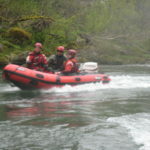 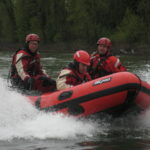 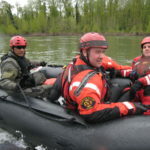 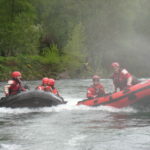 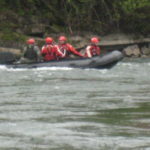 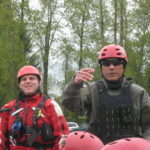 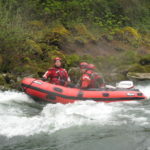 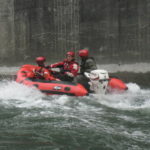 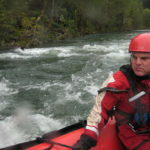 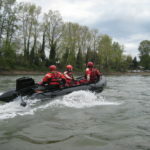 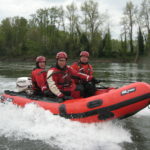 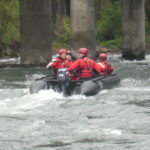 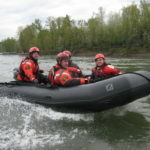 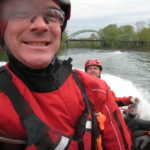 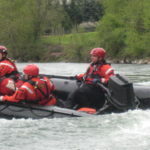 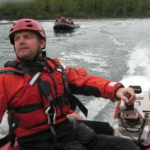 This educational program specifically covered basic boat operations and maneuvering, risk assessment, broaching and re-righting techniques, personnel recovery, swift water passage making, general maintenance and in-field repairs. 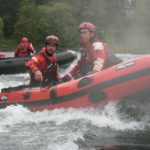 It takes many years of training and experience to not only teach a class like this, but also cater to the specific needs of the customer. 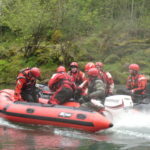 This is an example of why we here at IBC are often selected as the Zodiac supplier for many government agencies as well as recreational boaters; from young families getting into boating, to RV expeditions, to coastal and offshore tour boat companies, as well as world cruising sailors. 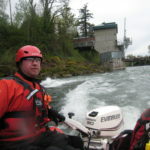 Anybody can drive a boat fast and in a straight line however, but steering a boat with a tiller handle outboard is very foreign to most people including seasoned boaters. 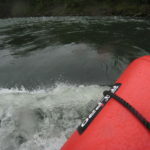 It’s the tiller handle that provides instantaneous control and allows for nimble guidance of the vessel. 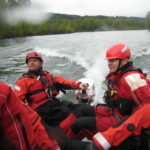 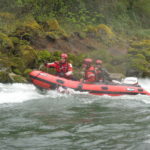 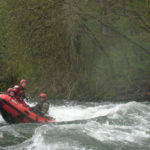 This is mission critical in fast-moving water as a boat can get thrown around in a split second, therefore the ability to make rapid corrections to ensure a proper course becomes a necessity of the mission. 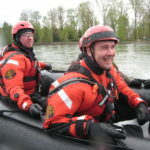 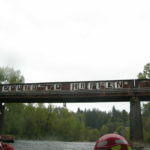 Through coordinated instruction and live on the water demonstration, lessons were quickly learned and actively practiced among all fire rescue team members. 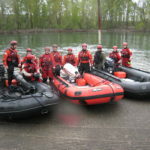 By the second day of our course of instruction, all trainees were efficient in operating their craft with the judgment required for making the call as to what side of the boat to perform a pick up on, as well as have their crew members organized and ready to accomplish a rescue. 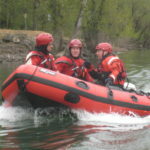 During our class’s de-briefing our new operators rated themselves as much more confident and prepared to use their new Zodiac ERB for their own missions. 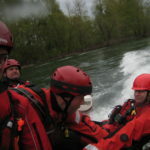 There is always a sense of triumph at the end of our intense training evolutions knowing that we’ve played a small role of indirectly saving lives by teaching the skills we have spent many years developing.